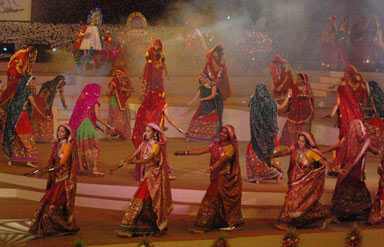 Gujarat is a land of colors where a variety of fairs and festivals are celebrated throughout the year. Marked with several interesting cultural activities, the fairs and festivals reflect the rich cultural heritage of Gujarat beautifully. More than 3000 fairs and festivals are celebrated in this state every year. Each celebration has its own history and mythological significance. 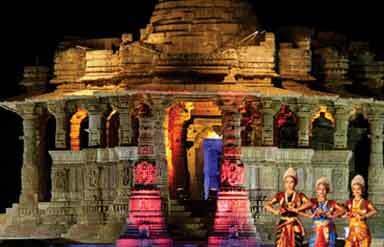 Get ready to witness the cultural extravaganza of Gujarat! 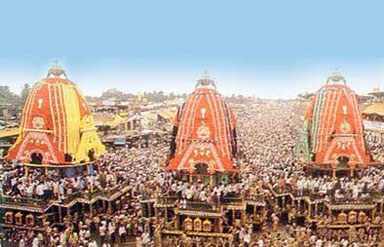 A big hit in Gujarat, Rath Yatra is a wonderful festival celebrated with great pomp and show. The term Rath means ‘Chariot’ and Yatra means ‘journey’. Celebrated in the month of July, the festival is marked by the traditional installation of the idols of Lord Krishna, Balrama and Goddess Subhadra on big chariots. The religious procession is carried out in the streets with devotees pulling the chariots. It is another popular festival of Gujarat which is celebrated with great enthusiasm. Not only the local people but the government also makes arrangements for this festival. Celebrated for nine days, the festival is dedicated to the nine manifestations of Mother Goddess. People fast for nine days and worship the Goddess. It is marked with traditional dance forms called Dandia Ras and Garbha. People participate in the dance with great joy and energy. It is a wonderful dance festival organized in January for three days. It is a great treat to the senses of art lovers as it is marked by several traditional dance forms of Gujarat. It is held at the Sun Temple. This festival offers an opportunity to get acquainted with the culture of the Kutch region of Gujarat. Stretching for 6 days, it is held in the months of February and March every year. This festival serves as a guided tour of Kutch. 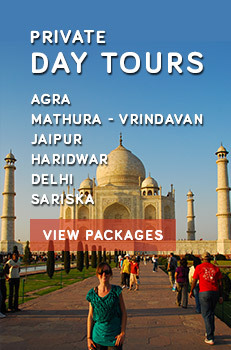 Explore the beaches, ancient forts, green landscapes and rustic desert during the Mahotsav. It is a famous fair of the state held in a village named Tarnetar. It is held annually for three days in the months of August/September. Several tribes of Gujarat such as rabari, khant, kanbi. Koli, bharwad, charan and kathi participate in this fair. There is an ancient Shiva temple near the site where this mela is held which is visited by people coming to the fair. It is a tribal mela held in the Gumbhakhari village of the Sabarkantha district of Gujarat. The village is located on the border of Gujarat and Rajasthan. In this mela you will get to see several tribes of the state. Held in the month of February on the auspicious occasion of Mahashivratri, this mela is celebrated near the Bhavnath Mahadev temple located on the foothills of Mount Girnar. The celebration stretches for five days. The place Ginar has sheer mythological significance. It is believed to be the abode of nine nathas. Nathas are the immortal lords and protectors and the spiritually enlightened souls.